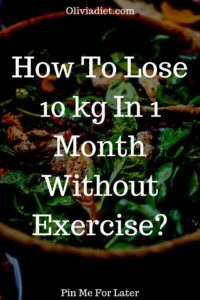 I receive this question often that how to lose weight fast without exercise? That’s why I took a time to write this article to help them out. Losing weight slowly and steadily is a good option that helps you in long run but losing weight fast is very beneficial too. But what If you are having an interview or meeting with someone or want to lose your weight for your wedding? Then you may be known of the fact that how much it is important to follow a certain diet that helps you lose weight quickly. To lose weight you must eat complex carbohydrate-containing foods. Because these carbohydrates boost up metabolism and are very easy to digest. These complex carbs are very low in calories which makes it the best energy source. We recommend you should eat it with fiber and protein. Multi grain hot cereal etc. As we all know that milk and yogourt is the best source of calcium. Calcium is very beneficial in losing your weight. Now, if you are lactose intolerant person than you should go for soya yogourt and soya milk But you should avoid drinking sugary drink and eating icecreams. Start replacing your coffee with green tea because this will not only replace all the heavy sugar and cream that you add to your morning coffee but it will also get started your day with a good amount of antioxidants and metabolism boosting process. Drinking just one to two cup a day will shed the fat around your waistline in no time. By adding a few drops of lemon to the warm water and drinking it before and after your meal will help in losing your fat faster and also it will accelerate the digestion process. You can increase the effect of this fat burning drink by adding a little bit of cayenne pepper. Yeah, you read it right. Not every type of fat make you gain weight but healthy fats can help in losing your weight. The saturated fats are those which help in weight gain and monounsaturated fats are the healthy ones. These monounsaturated fats help you lose fat. Avocado contains healthy fats. By eating avocado in the breakfast every day can help you actually lose your weight in a matter of no time. There are two types of insoluble fiber and soluble fiber. Insoluble fiber is very hard to digest so we are having no work with it. The soluble fiber is what we should look up to. By eating barley, nut, seed, bean, lentil, pea, bran or whole wheat bread you are ingesting good soluble fiber into your body. As you will follow this diet, your body will start breaking up the fat cells. You need water to flush these fat cells out of your body. So, keeping your body hydrated all the day will really help you to flush these fat cells. Never dehydrate your body. You should drink at least 3.7 liters to 2.7 liters. Try always to eat fresh food in their real state. The processed food is having an unwanted amount of salt, sugar, and fat that is creating the big obstacle in the path of your weight loss journey. These processed foods are also ingesting toxins to your body. These toxins then store in the fat around your belly which make it more difficult for you to lose your weight. Take a glass of warm water after waking up in the morning. Add few cloves of garlic and 1 or 2 teaspoons of honey and stir it for some time and drink this sweet and healthy beverage. This super healthy beverage is having the potential to accelerate the metabolism, clear the digestive tract, and finish the abdominal bloats completely. This drink is very beneficial to eliminate unwanted fats from your thigh, hips, midsection, and buttocks and become sexier. Vitamin d is very important for your body to fight against sickness, diseases and as well as at the same time it helps you lose weight. Without vitamin d in your body, you cannot lose your weight faster. You can get vitamin d from food as well as from sun but expose yourself to sunlight once a day. Because sunlight will boost those enzymes in your body that will help you lose weight in the long run.